With its final episode to air this week, JTBC’s hit drama “Sky Castle” has been one of the most successful shows of the year so far. 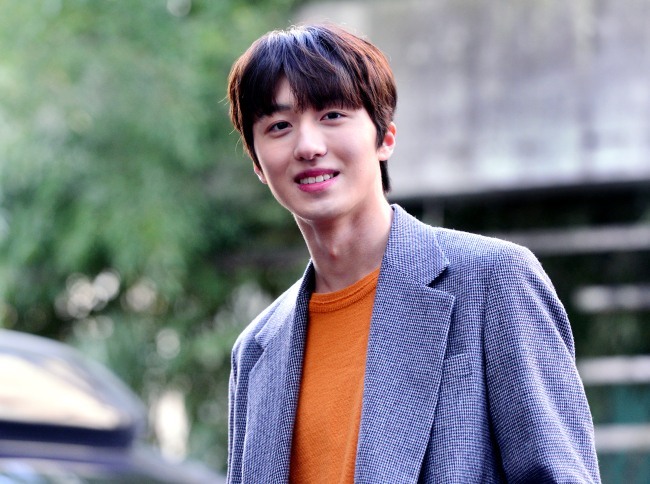 And Chani from boy band SF9, whose real name is Kang Chan-hee, is among the cast members who have seen the series take off and win the hearts of viewers across the country over the past few weeks. Sitting in FNC Entertainment’s office in Gangnam, the singer-actor grinned as he recalled the end-of-show party on Saturday, where he said everyone, including actors, staff and the director, was in a great mood. “I went for the second round (of barhopping) for the first time since I became an adult. I was very happy,” he said. 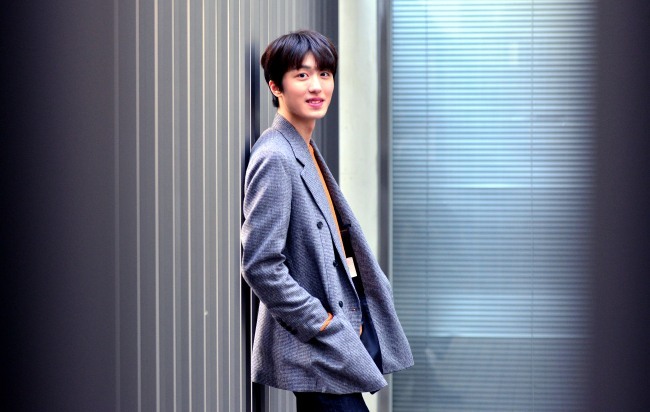 Chani turned 20 in Korean age a few weeks ago, and for someone his age, he has had an impressive career, having released multiple records with his group and starring in what is now the most watched drama in South Korean TV outside the three major terrestrial channels. But if anything, the 20-year-old seems humbled by the show’s success. “When I first got the script, I found the story really interesting. And I was happy and honored to act alongside many great actors,” he said before adding that talented actors like Yum Jung-ah and Jung Joon-ho on the show made him think the show would do well. Chani began his TV career at a young age thanks to his mom, who helped him with auditions. His dad, however, opposed this path at first, as working from a young age naturally meant less time for family and friends. “He was concerned about whether being exposed on TV or to the public from a young age was a good thing for me or not,” the actor said of his father, adding he now has his dad’s full support. He eventually ended up getting the role of Hwang Woo-joo on “Sky Castle,” though he had initially prepared for the roles of Cha Seo-joon and Cha Ki-joon -- just in case -- played by Kim Dong-hee and Jo Byung-gyu. Chani grew close to both actors on the set. “Byung-gyu held a birthday party for me. I was taking a lesson at my company’s office when I was sent a video message of everyone blowing candles on my birthday cake without me. They did a count of three before wishing me happy birthday. I was quite moved,” he said. And then there was the famous video of him dancing to the show’s theme song “We All Lie” in a school uniform, which has racked up over 190,000 views. “I debated whether to upload the video or not at first,” he said, sounding slightly embarrassed. It was a suggestion by staff who chose the unlikely fitting song for a dance clip on his birthday, which went down as a treat among fans. Though Hwang sails through most of the show with no trouble, his character takes center stage during the last few episodes, as he faces the misfortune of being falsely accused of murdering someone he loves. Viewers are expected to find out the person behind the crime in the last episode. On the other hand, Chani was told by the director in advance that Woo-joo would go through tough times. “When I got the scripts for the 15th and 16th episodes, I remember finding it tough (to act). I felt sorry for Woo-joo for being in such a devastating situation. Since the pilot episode in late November, the show has seen its viewership ratings skyrocket, reaching 23.2 percent on Saturday, but the actor says he hasn’t experienced his stardom in everyday life yet. “When people see me, they are more interested in who the culprit is,” he said, referring to the person behind the death of another character Hwang is accused of murdering. But as a 20-year-old, backpacking sits on top of his list of priorities.